In Photoshop to HTML, Nettuts+ editor Jeffrey Way takes you through the entire process of converting a design from Photoshop into a complete HTML/CSS website. But this is NOT just an eBook. 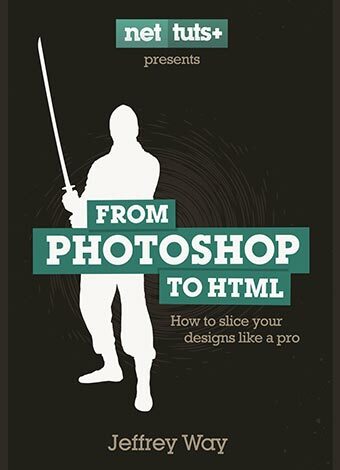 It also comes packed with extras: a directory of Photoshop, HTML and CSS files for you to use as you work through the book AND a series of 14 screencasts covering the whole project from beginning to end. Logged-in members can download this book's screencasts at the bottom of this post.